What Spices Go Well With Cheese? When you think of regional cooking, there are some pairings of cheese and spices that are naturals. 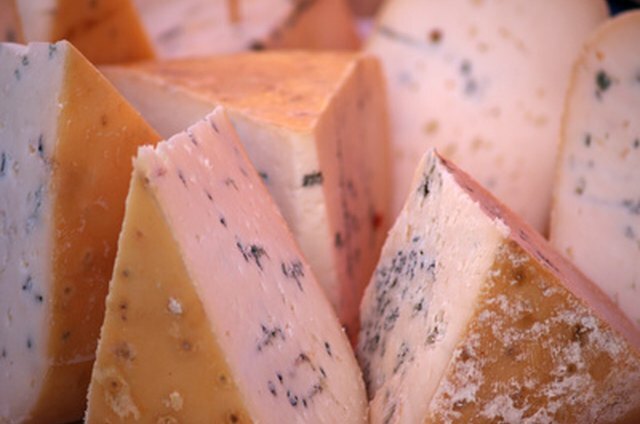 Italian cheeses with basil and oregano, the use of thyme in Greek goat cheese dishes and some unusual combinations that will pique your taste buds. Some spices blend so well with cheese that they can be found in cheese. Get adventurous and try your own pairings or try some of these favorites. Serve buffalo mozzarella cheese in a classic dish with tomato and basil. Fresh basil works best for this dish, which features layers of sliced mozzarella, fresh tomato and large basil leaves drizzled with balsamic vinegar. 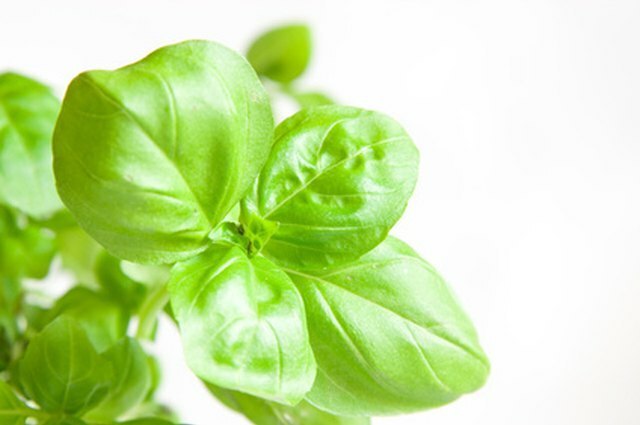 Mix diced fresh basil leaves or dried basil with ricotta, mozzarella and Parmesan cheese to stuff raviolis or use in a traditional lasagna recipe. Consider adding oregano to the mix when cooking lasagna. 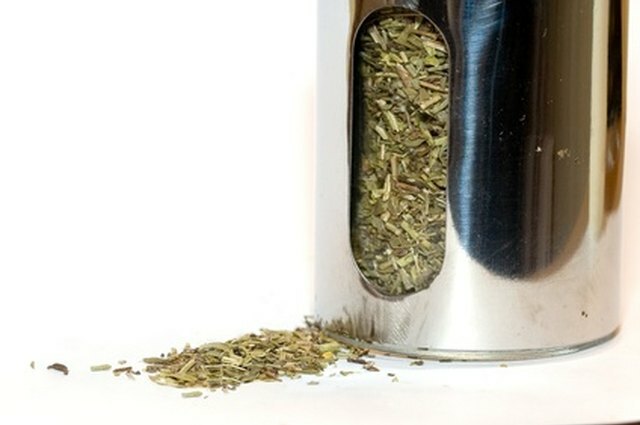 Oregano blends well with most Italian cheeses. 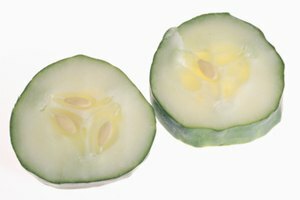 Both caraway and celery seed pair well with cottage and other soft, mild cheeses. Treat your family and guests to caraway cheese spread made with soft cheddar cheese blended with 2 tsp. minced onion and 1 1/2 tsp. 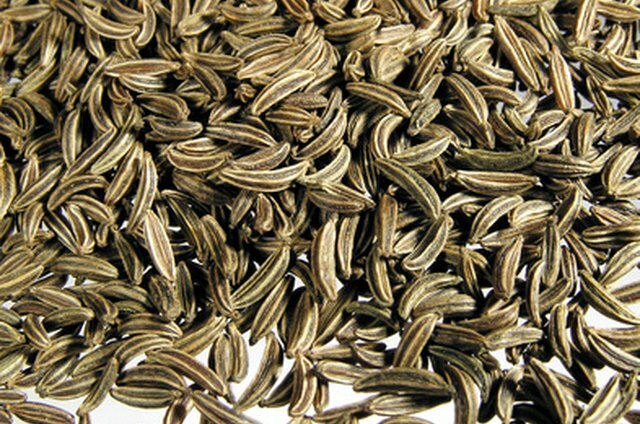 caraway seed. Serve with vegetables or pita bread for dipping. Thyme is a lovely accompaniment for goat cheese and is frequently paired with it in Greek dishes. Make a fresh goat cheese dip by adding feta or your favorite goat cheese to a small handful of freshly chopped thyme, 1/4 tsp. chopped chili and 1 tbsp. good olive oil. Serve with crackers, vegetables or pita chips. You can also smear this combination on toasted bagels or add a dollop on the top of lamb or beef dishes. 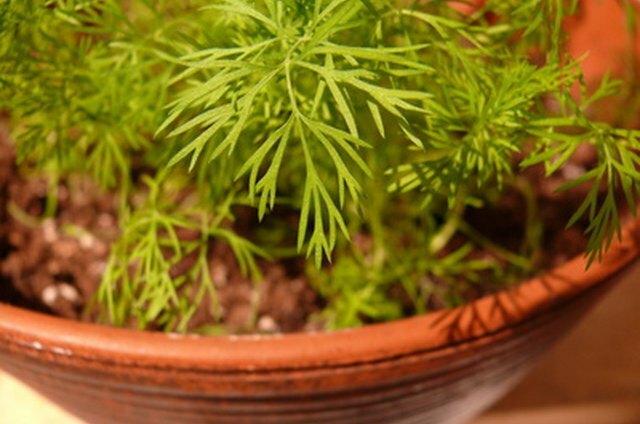 Mild dill is of note since it is one of the few spices that can be found in cheese. Havarti dill and dill-infused cream cheese are a few common and good examples of this pairing. Red pepper can also be found in cheese. 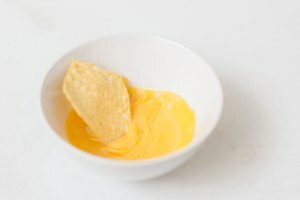 Pepper jack cheese and cheddar cheese-based queso contain red pepper. 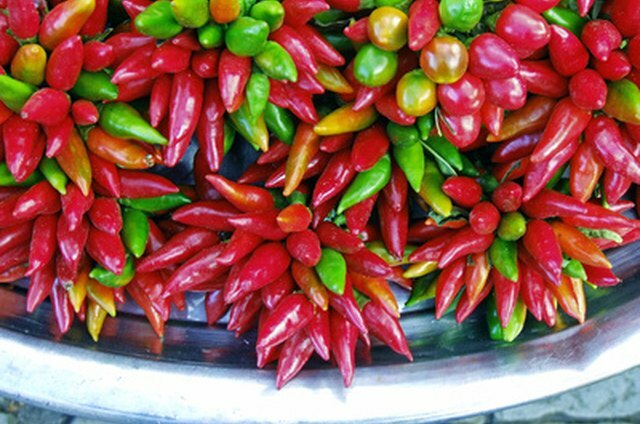 Chili powder and paprika blend well with a number of cheeses often found in Latin American or Mexican foods. Anejo, an aged queso fresco Mexican cheese similar in taste and flavor to Romano, is often aged with a blend of chili and paprika to make a separate cheese known as Enchilado. 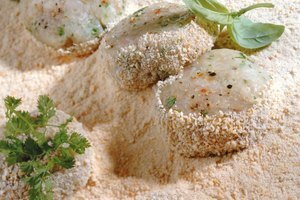 The cheese is easy to crumble or shred to use in a variety of Mexican and Latin American dishes. This cheese can change somewhat regionally, with some Enchilado aged with chili powder and paprika while others are aged only with paprika. What Goes Good With Jalapeno Peppers?